The polls open on October 4 at 9:00 local time (11am CET) and close at 7pm on the mainland (9pm CET), when exit polls will be published. Portuguese people are voting for the first time since the end of its financial bailout and consequent austerity measures. Voters will get to have their say on the current government’s implementation of reforms imposed by creditors – the so called ‘troika’ of the European Union, the European Central Bank and the International Monetary Fund. The Parliament of the Portuguese Republic consists of a single chamber, the Assembly of the Republic, composed of 230 members directly elected by universal adult suffrage for a maximum term of four years. Assembly members represent the entire country, rather than the constituencies in which they were elected. Governments require majority support in the Assembly in order to remain in office. 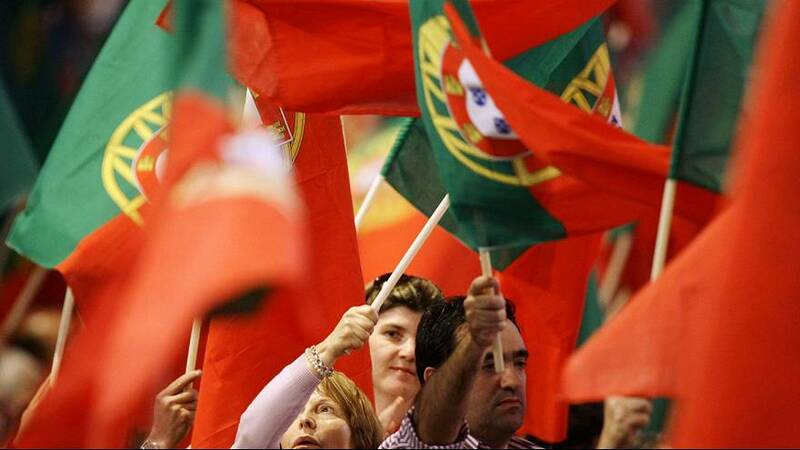 Portuguese voters residing outside the national territory are grouped into two electoral constituencies – Europe and the rest of the world – each one of which elects two Assembly members. The remaining 226 seats are allocated among the national territory constituencies in proportion to their number of registered electors. Political parties and party coalitions may present lists of candidates. The lists are closed, meaning electors can not choose individual candidates. Electors cast a ballot for a single list. The seats in each constituency are distributed according to a proportional representation system. Partido Socialista (Socialist Party) A social-democratic political party. One of the two major parties (the other being its rival, the PSD). The Socialists’ leader is Antonio Costa, a former mayor of Lisbon. He succeeded Jose Sócrates after Sócrates’ defeat in the 2011 election. The coalition was formed for the first time in 1987. Since the beginning of the coalition, the member parties have never participated separately in any election. The Communist Party is the major force within the coalition and has the majority of places in the electoral lists. However, the Greens also have an important presence and elected two members of parliament among the 14 elected by the coalition in the last legislative election. Each party has its own parliamentary group and counts as a separate party in official issues. It has 16 members in the outgoing parliament. Bloco de Esquerda (Leftist Bloc) is a left-wing political party founded in 1999. It is sometimes abbreviated to B.E., but its name is usually said in full or colloquially abbreviated as ‘O Bloco’. Since December 1, 2014 the party has been headed by a six-member Permanent Commission whose speaker is Catarina Martins. The block has 8 members in the outgoing parliament. In the first and second quarters of 2015, Portuguese GDP grew 1.6% compared to the same period last year. Exports are also improving and posted a 6% jump between May and June. Standard and Poor’s has upgraded Portugal from BB to BB+, with a stable outlook. It’s the same rating given by Moody’s and Fitch, based on the assumption that these elections won’t significantly change the politics imposed during the troika intervention. However, the opposition claims that the government is massaging the figures, pointing to the example of the national recapitalisation of the Novo Banco (“New Bank”, created after the collapse of the private bank BES), which bumped up the Portuguese deficit announced in 2014 from 4.5% to 7.2%. In the first semester of 2015, the deficit has already reached 4.7% of GDP. But Prime Minister Passos Coelho’s government still guarantees that it will drop under the 3% limit this year. According to Eurostat, Portugal achieved the biggest rise in employment rate across the EU during the second quarter of 2015 – up 1.3% on the first quarter. Greece, Ireland and Spain were next on the list. The unemployment rate is now at 13% (compared to 16.2% in 2013); the youth unemployment rate is 31% (the fifth biggest in the EU – last year, it was 34.8%). Nevertheless, Socialists and other left-wing parties point to the impact of massive Portuguese emigration on these numbers and the fact that many jobs are low paid internships created recently by local job centres. During the tough times of the economic crisis, the prime-minister and some ministers were pointing out the advantages of living abroad in a globalised world. Now, they’re creating programmes to incentivise young people to come back. The total volume of emigration over the last 5/6 years is still subject to some controversy. But there’s some consensus that somewhere between 400,000 and half a million of Portugal’s 11 million inhabitants left the country. The Organization for Economic Co-operation and Development (OECD) says that more than 100,000 long term emigrants left the country between 2012 and 2013 alone. Portugal has thus become a country that exports a young qualified workforce, after in-vesting in its education and basically losing tax revenue the state could collect in the future. According to one academic study presented recently at the University of Porto, between 2010 and 2011 Portugal lost the equivalent of 8.8 billion euros in tax revenue. It’s estimated that more than 40% of those people will not come back during the next 10 years at least. Furthermore, a United Nations report claims that in 2050, 40% of the Portuguese population will be more than 60 years old. In 2014, there were 141 elderly people for every 100 young people under 18, according to the national statistics agency, putting the country fourth among EU nations with the most aging populations. According to the prime minister, never before has the National Health Service (SNS) been so well capitalised. In 2015, the SNS received 7,874 million euros, slightly above the 7,720 registered in 2014 (itself the lowest number since 2007). Concerning the SNS deficit, in 2010, under the previous Socialist government, it was around 800 million euros, dropping to 272 million in 2014. The government aims to obtain a negative balance of no more of 30 million euros this year. The public money that has been spent does not just concern health care, but also the coverage of some long-term debts. Accordingly, private spending on healthcare has increased. In 2014, almost 28% of health spending was funded by individuals. According to the OECD, the cuts made in this area – reductions in the workforce, closure and consolidation of facilities – were double that demanded by the troika. In 2013, government spending on health was 5.1% of the total budget compared with 10% in 2010. The European average is 7%. Among the EU countries most affected by the 2008 crisis, Portugal saw the biggest rise on the risk of poverty and social exclusion in 2013, according to Caritas Europe. The rescue program of 78 billion euros imposed several austerity measures. Between 2013 and 2014, pensions were reduced by 4.6% overall. In addition, the government applied an Exceptional Solidarity Contribution (CES), a “temporary” measure, which meant reductions in fact ranged from 3.5% (from a starting point of 1,350 euros per month) to a maximum of 15%. Some experts claim that the sustainability of the Portuguese pensions system depends on applying permanent cuts.